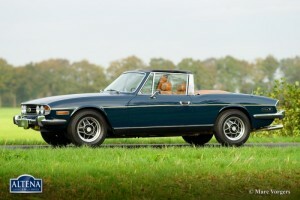 Triumph Stag, year 1974. 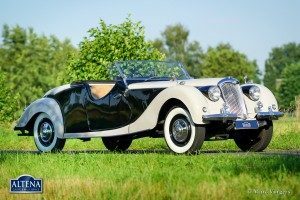 Chassis number LD 31482 LO. 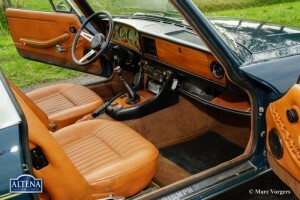 Colour green/blue (Mallard) with a cognac coloured leatherette interior. 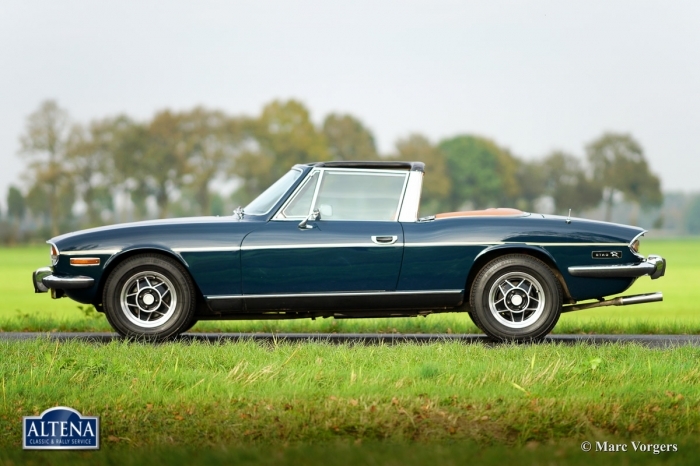 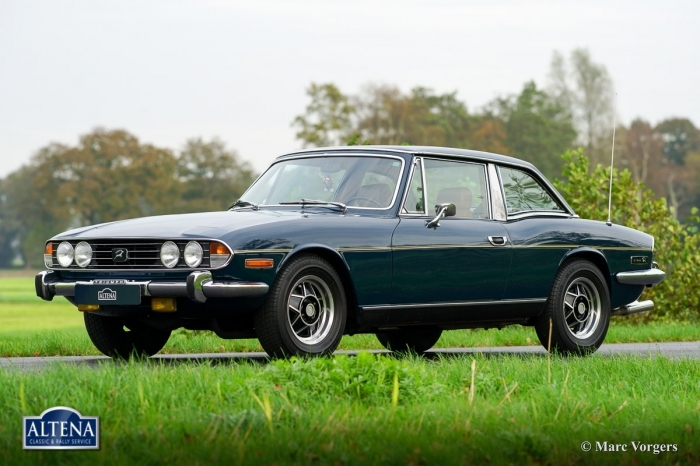 This beautiful Triumph Stag was sold new in the Netherlands. 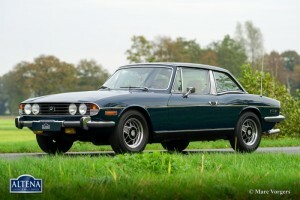 The automobile is in excellent original condition! 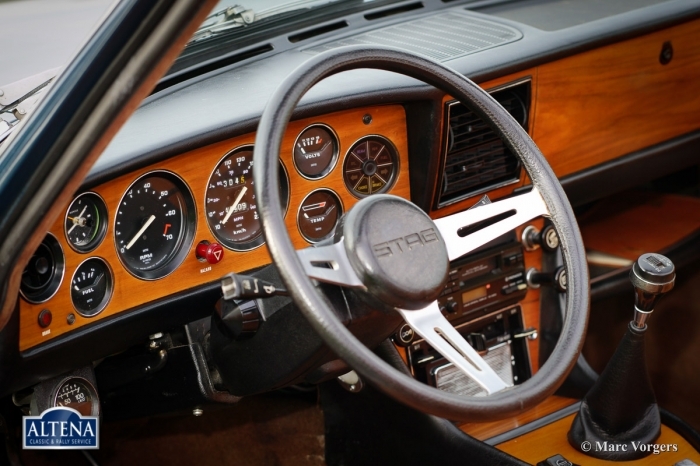 From new the car has known only three cautious owners who kept the car in fantastic shape. The body work, the interior, the engine room, the boot and the underside of the car look beautifully original with just slight traces of use. 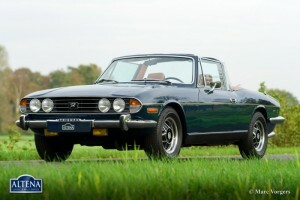 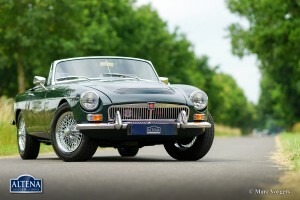 The Triumph V8 engine runs and sounds perfect and the car handles and drives superbly. 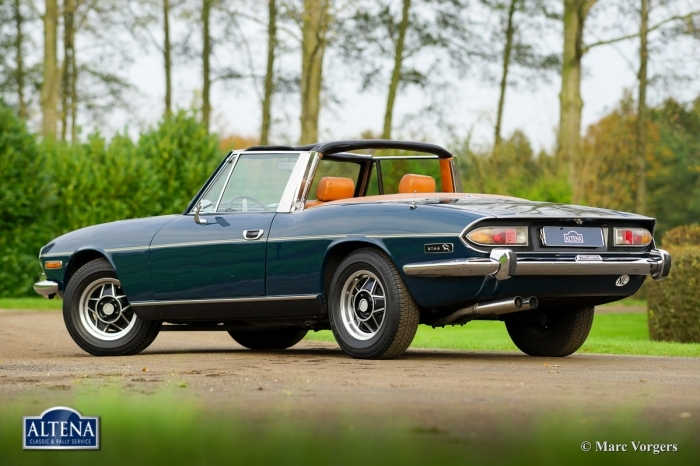 This Stag features a manual gearbox (rare) and power steering. The cooling system has been up rated to improve the cooling capacity. 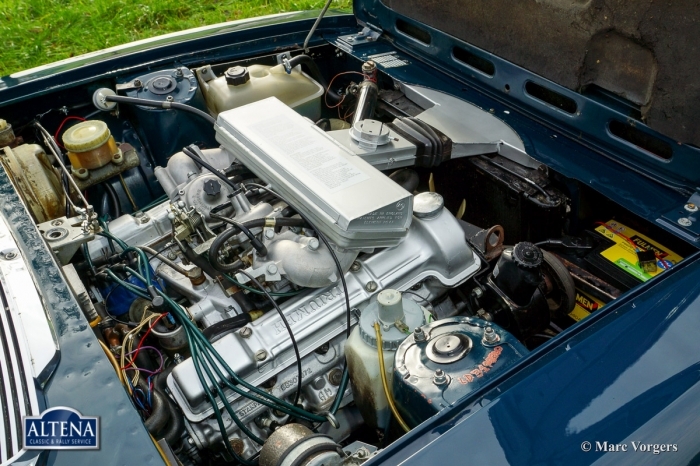 The expansion tank was placed higher up, a high capacity radiator was fitted as was an electric Kenlow cooling fan. 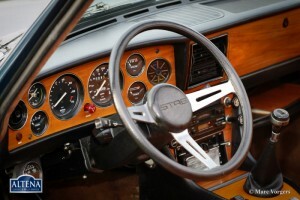 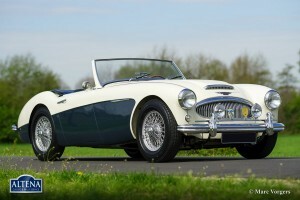 Furthermore the car sports electronic ignition (Lumenition) and a Smiths oil pressure meter (dashboard accessory). This fantastic Triumph Stag is complete with original hard top in body colour. 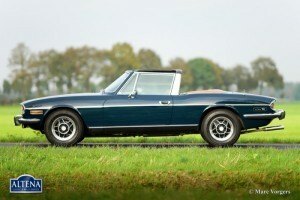 The hard top sports a heated rear window! This is a wonderful and very original Triumph Stag, you will be hard pressed to find another specimen in this condition!